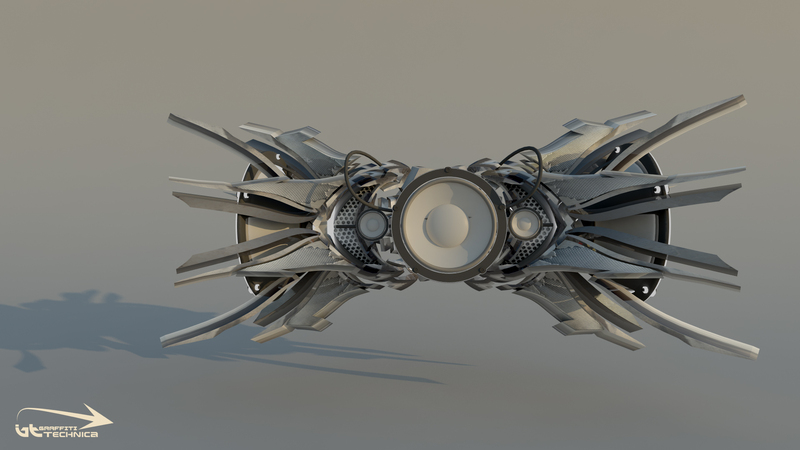 A design based around a modern speaker cone and more generally a sort of cool mechanical design that you could put a speaker in. Not too dissimilar to a modern Bluetooth soundbar, though I’ve not see any that really push their industrial design. This piece was to be perfectly symmetrical as it had to look like a machine – it’s interesting as to what makes a graffiti design ‘look’ like graffiti. To me it’s the sharp hard angles and the way you balance out the design.